The top exhibit at the Museum of Northwest Colorado is a collection of nearly 1,000 cowboy and gunfighter artifacts that takes up the building’s second floor. The museum also has a small group of historic items from the Denver Northwest & Pacific Railroad, memorabilia from Edwin Johnson, a former Colorado governor and U.S. senator, and an 11- by 16-foot painting of Craig in 1896. 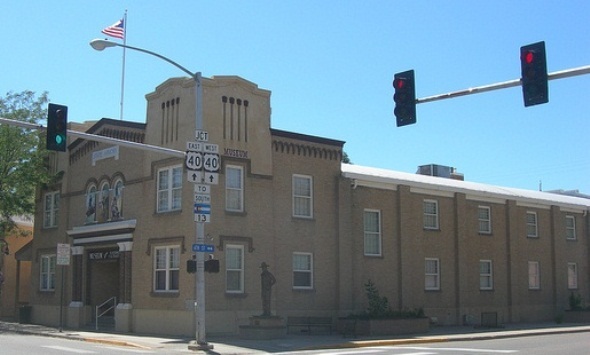 The museum is housed in Craig’s State Armory building, which is listed on the National Register of Historic Places. The two-story building opened in 1922 and was designed by John J. Huddart. It has a stepped parapet and vaulted roof and was constructed with wire-cut yellow brick, trimmed by red brick and terra cotta.